Post analysis and feasibility test, we shared the report and SRS document with the client for review, explaining how we are going to do it. After multiple iterations of review and modifications, we settled on common grounds and confirmed the final SRS for the implementation. We chose Genstore as many of the requirements were being fulfilled by the base script itself. As per the customizations are concerned, the open-source code architecture of the script allowed us to proceed with the modifications without any hassle. So here is a glimpse of the requirements that were readily fulfilled and how we customized the challenging requirements. Dashboards for three stakeholders: Customers, Sellers, Admin The script follows the multi-vendor marketplace model by default. All three stakeholders have their dedicated dashboards. Customers: Front-end interface to search and buy products. 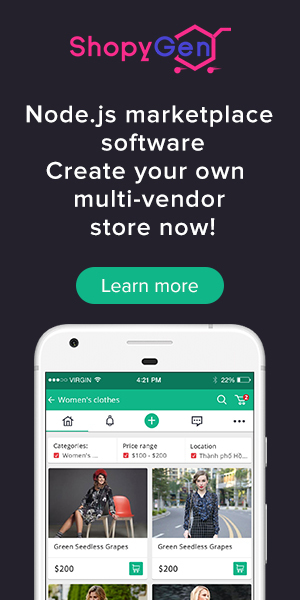 Sellers: Front end UI to set up shop, upload products, and manage orders. Admin: Back-end UI to manage the site, sellers, customers, and the business process. Commission-based revenue model The script comes inbuilt with a commission management system. Additionally, prime subscription revenue model (for customers) and a featured listing of products (for sellers). 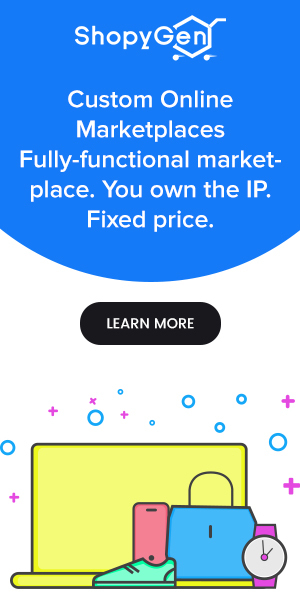 Massive scalability It is a node.js marketplace script. With Non-blocking I/O architecture and asynchronous coding, scalability is not an issue with the Genstore script. E-Commerce is an always expanding business. Considering the heavy loads and expansion requirements, we have made the script capable of handling any number of requests at a time. Credit and Debit card payment methods The script comes inbuilt with multiple payment methods APIs. Can also be modified to accommodate additional payment methods. Review and Ratings Integrated reviews and ratings management systems are already present to bring eCommerce business credibility through the customers. Social login Integrated Facebook and Google API are present to offer quick sign-ups for the customers. Newsletters Integrated Newsletters management system makes email data collection and marketing accessible. SMS gateway Integrated Twilio cloud API makes the SMS based OPT verification and other SMS communications possible. International orders Location-based currency switching is possible for international orders. Discount Management system Integrated coupon management and the discount system can manage all sorts of offers. Bulk Product Upload system The script allows both direct and CSV-based bulk product uploads by the sellers as well as admin. Store account management Admin can Add, monitor, approve/decline a new seller account. Can also monitor all the shop and product details. Order Management System Both admin and sellers have corresponding access to perform order-related tasks like change order status, generate an invoice, manage refunds and returns etc. 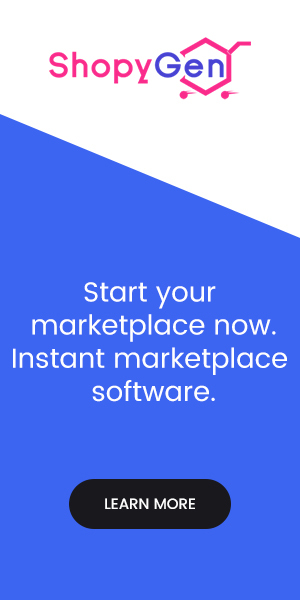 Add sellers over a phone call Besides front-end registration form for seller sign-up, the script also lets the admin add a new seller from the admin panel. So admin can also process off-site requests for seller registration. Thankfully, our base script was able to fulfill most of the major challenging requirements. The next big task was tailoring the script strictly according to the custom requirements discussed in the challenges section above. To integrate the pick-up Locations, we customized the location-based filters. 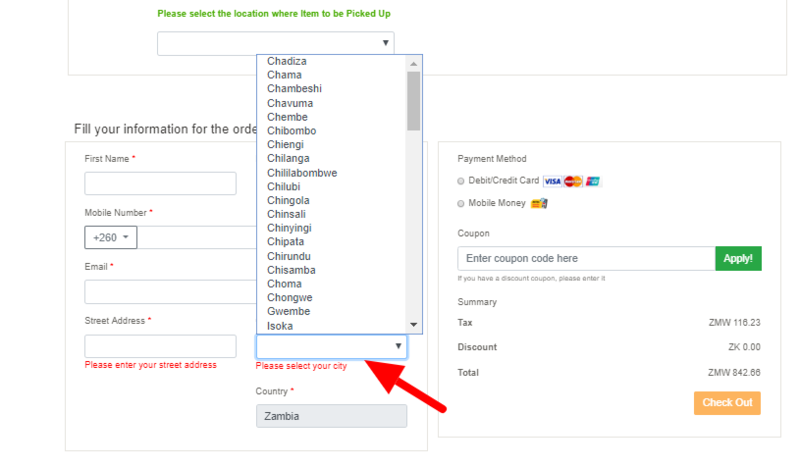 Admin panel: We added the controls to let admin add new areas of Zambia on the marketplace. The added areas will be visible to the sellers in product upload UI. Seller panel: We added the ‘Areas’ drop-down option in the product upload UI. Sellers can now select an area from the list where they want the particular product to be visible. For example, they can choose Chingola, Chilubi, Kabompo, Chisamba, Lukulu etc. Product-based catalog inherited a majority of the features from the default catalog. We just had to add some extra custom categories and side-menus to switch from product view to shop view. 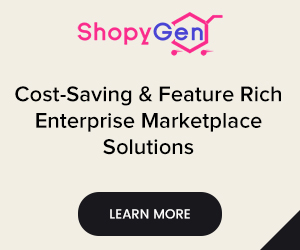 The shop-based catalog was complete customization, which involved adding an option to filter the shops results based on geo-location of Zambia mentioned in a drop-down list. Selecting a geo-location filters out every shop available in the area. Both the pickup methods involved different process and verification methods. Self-method was simple and uses the account and billing information to verify the identity of the picking up person. ‘Other’ method required a more authentic way to verify the person’s identity. We added a pop-up box that asks the ID details of the substitute such as Name, ID number, and Mobile number, which are enough to verify the authorized person. 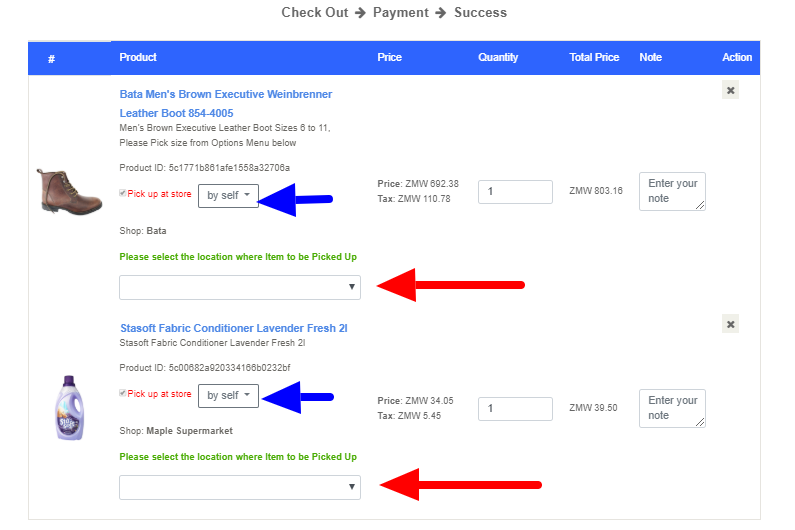 We customized the shopping cart to let customers update the ‘pick-up point” and ‘pick-up method’ individually for each product in the same cart. 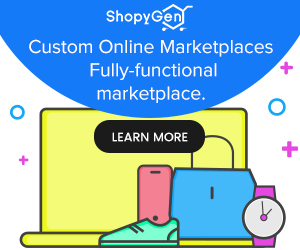 It makes multiple orders from multiple sellers possible through a single shopping cart. We implemented all the Zip code based filter and events to a new field called area/location. Now instead of zip code, the script asks for area/location of the user. Credit/Debit card payments through Visa’s CyberSource payment gateway API for domestic and international orders. Mobile payments through the local MTN mobile money API for domestic orders. We used MEAN stack (Mongo DB, Express JS, Angular JS, and Node JS) to build this platform so that the backend & front end works in perfect sync. We used the Twilio API for SMS integration. The site is set up on AWS for static files hosting. MLabs for cloud database hosting. The project was handled with international standards and a team of experienced professionals was assigned to the task. We followed the agile model where kept the client in a loop through the review and approval process. A regular reporting was ensured using our personalized PMS, Skype and Trello board. The project and involved modules were made to go through rigorous testing after each implementation or customization. After multiple reviews and documentation, we finalized the final design and color scheme of the website. Based on the finalized SRS, we prepared a prototype design with HTML and processed it for review from the client. The prototype gave a clearer understanding of the client’s views for the first eCommerce store of Zambia. Including the latest feedbacks, we prepared the final SRS for development. Post-approval, we proceeded with the development phase. This phase actively involved design revamp and the addition of custom features as explained in SRS. In addition to separate regression and project testing post-completion, we were actively realizing the unit and functional tests for each modification and implementation. Post-multiple interactions, the project was exposed to automated tools like selenium for load testing. As soon as the project was ready, we initiated the beta phase where we performed the acceptance testing with a group of 55 people. This phase was executed to ensure if the project is ready for public release. The group of 55 people we asked to use the website in whatever way they understood it. The feedback was taken through Google forms where we had asked various questions aiming usability, accessibility, mobile responsiveness, and various other aspects. Post multiple iterations of feedback and re-development, we closed the beta phase and prepared for final delivery and public release. As promised, provided the setup, hosting, and release assistance in addition to the maintenance guaranty. Besides the website version, the project also involves the delivery of native mobile apps for Android and iOS. Both the mobile apps will be developed natively and synchronized with the website through corresponding web service scripts. Mobile apps will have the same features and functionalities as of the web version. Moreover, the modifications and customization done in the website version will also be implemented in the mobile apps to achieve integrity and coherence. Sooner, the apps will also be live for public use. As of now the first phase of the project is live and running at its best. Zambia is enjoying its first eCommerce marketplace website. 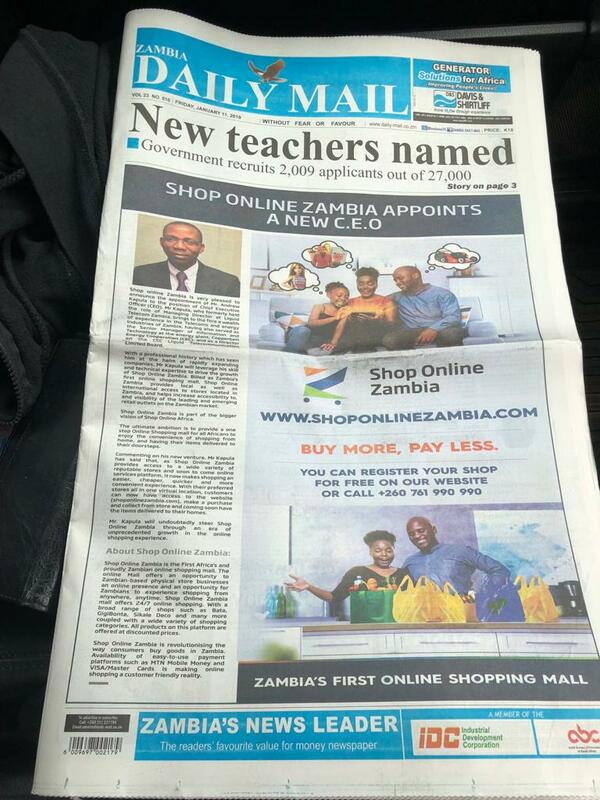 Overall, Shop Online Zambia had an enormous launch in Zambia. 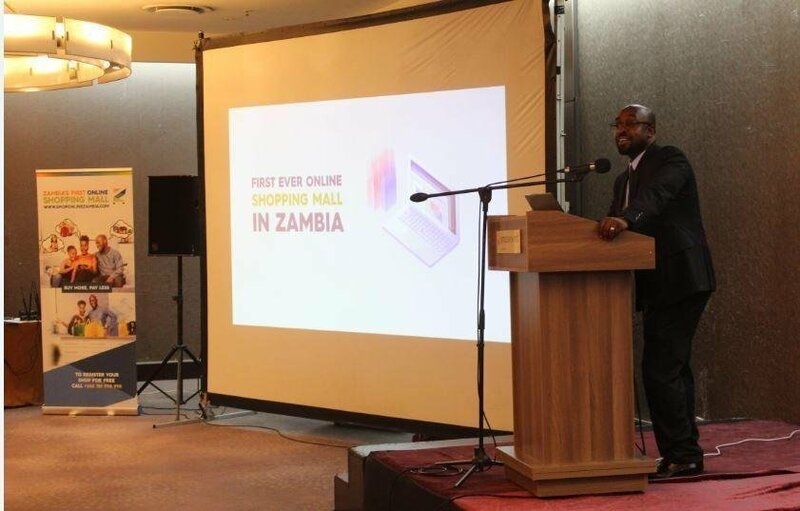 Andrew and his team put together a grand launch of Shop Online Zambia platform, which was launched by the Zambian ICT minister Honorable Brian Mushimba got huge media coverage. From Blogs, Radio Ads, Banners, Billboards, Newspapers, and Facebook to Search Ads, the company got a lot of attention being the first online shopping mall of Zambia. After launch, they had lots of small businesses and shops in Zambia signup with them. They also got big brands like Gigibonta and Bata on-board. With internet-penetration improving every day, Shop Online Zambia is going to be the Amazon of Zambia sooner or later. More brands to join the league. Accepting international orders with FedEx and DHL. Integration of corresponding FedEx and DHL APIs. Expansion to other parts of the African region as well. 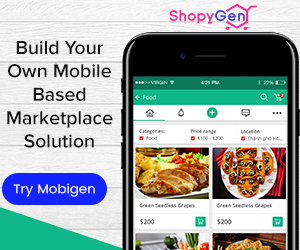 Customized sites and mobile apps for each region.